Every Financial Year (FY) Civil Society Organisations (CSOs) present a paper to the parliamentary Health committee on the National Budget Framework paper. 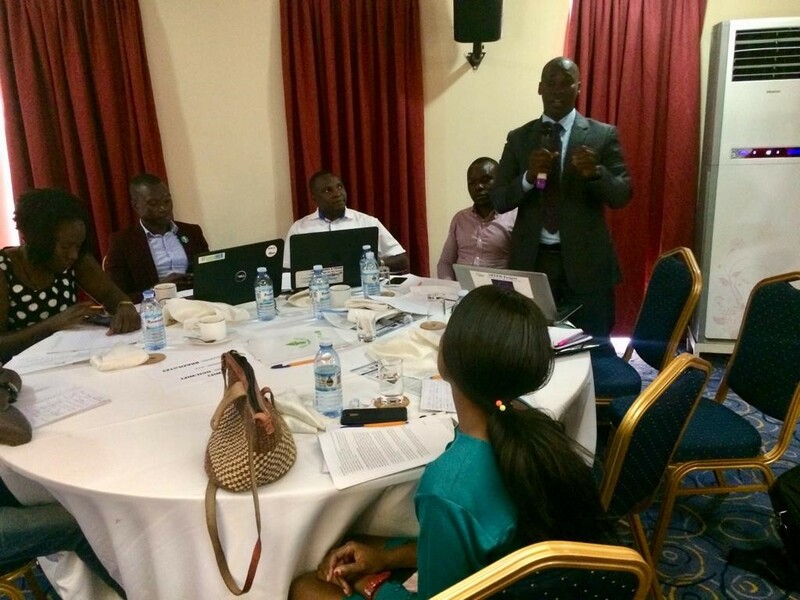 Recently, a breakfast meeting was held at Golf course hotel Kampala to share views/ thoughts for the FY 2019/20 health sector budget. 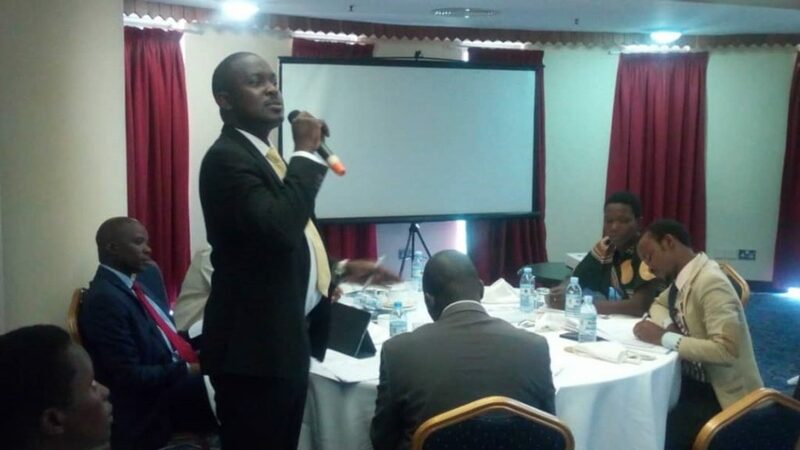 Mr. Richard Mugenyi who read the paper on behalf of CSOs said Uganda’s Health Sector financing is expected to reduce by UGX 31.294bn from UGX 2,363.562bn in 2018/19 to UGX 2, 332.268bn in FY 2019/20. Mr. Richard Mugenyi presenting CSOs position paper. 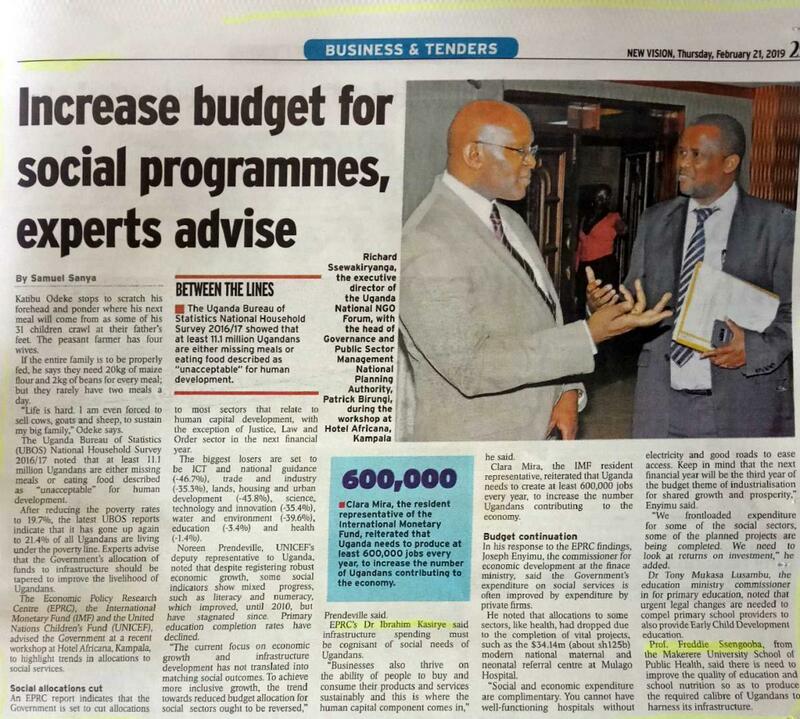 In spite of the fact that health is critical to producing a healthy and productive population that can contribute the development of Uganda, the sector’s budget is to be cut. 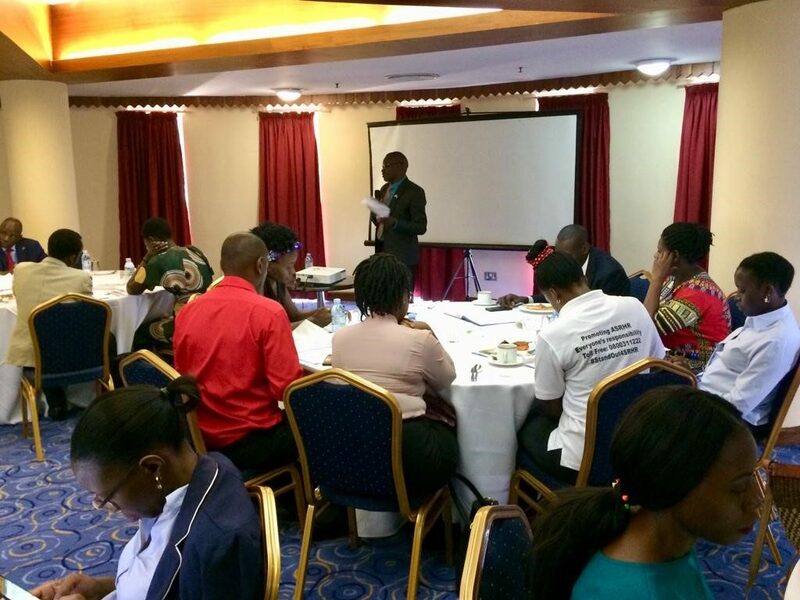 SPEED in her recent Public budget dialogue on FY 2018/19 health budget warned the government on unstable and low budgetary allocations to health. In the dialogue proceeding report, SPEED further recommended for the need to increase the health sector budget in a predictable manner over the medium term if the country is to achieve Universal Health Coverage. 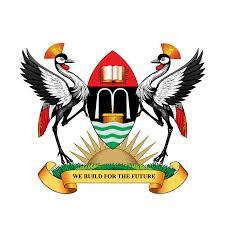 The CSOs however appreciated the Health Ministry for the progress towards upgrading 124 Health Centre IIs to Health Centre IIIs in FY 2018/19, the completion of construction works for the Specialised Maternal and Neonatal Unit at Mulago Hospital, the Health Service Commission recruitments of more than 900 health workers. 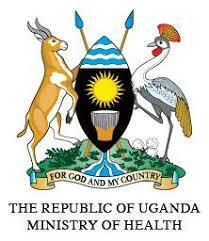 In his response to CSO submissions, the Health Committee Chairperson, Hon. Micheal Bukenya agreed that health financing is still low , but requested health officers to use the available funds effectively to avoid wastages. He pledged to work with the representatives of the District Health Officers to ensure that they are motivated in terms of remuneration and equipment to ensure effective delivery of health services to all citizens. Hon. Bukenya thanked all CSOs and other projects for the engaging presentation which he said had highlighted a range of interesting issues that Parliament was going to follow up. “This engagement is useful and empowering. You have highlighted a number of issues but we also need to make sure that the ministry of Health is following its priorities,” he challenged the CSOs. PHC is a high priority area in the health sector thus funding to it should not be cut but at the bare minimal maintained at the current funding level. There is need for provision for both wage and non-wage for the upgraded facilities; (health centres need 9 staff for HCII, 19 for HCIII; and 48 staff for HCIV. The government should therefore align the allocations for wage bill and PHC to its plans to construct new HCIIIs and upgrade the existing HCIIs to HCIIIs, an intervention which is heavily reliant on PHC funds for effective functionality and operation. The Government should increase funding to National Medical Stores with prioritisation given to the 41 tracer items and quantities of laboratory reagents. This will increase citizen satisfaction with health service delivery and improve the quality and productivity of the population. The Government should increase or at least maintain funding for the already underfunded specialised institutions and referral and regional hospitals to cater for the ever-increasing cases of patients. This will strengthen referral systems to prioritise diagnosis and treatment of non-communicable diseases; and reducing referrals abroad. Government should allocate resources for the construction and equipping of the 200 beds at the Uganda Heart Institute complex and construction of blood banks, at Kabale, Arua, Moroto, Soroti and Lira regional referral hospitals. b) The Food and Drug Authority (FDA) Bill, 2010.
c) The Uganda National Health Laboratory Services Bill, 2016.
d) Indigenous and Complementary Medicines Bill, 2015. Mr. Richard Ssempala- Knowledge Management Officer submitting on the need for the government to leverage financial resources in other sectors that have a bearing on people’s health.